John Asa Rountree, the president and manager of the Rountree Publishing company, of Birmingham, Ala., is a native of the State of Alabama. He was born at Hartselle, Morgan county, Ala., on the 22d of March 1867 to Scott L. Rountree and George Anna (Thompson) Rountree. His father, Scott L. Rountree, was born in the county of Maury, Tenn and studied medicine. 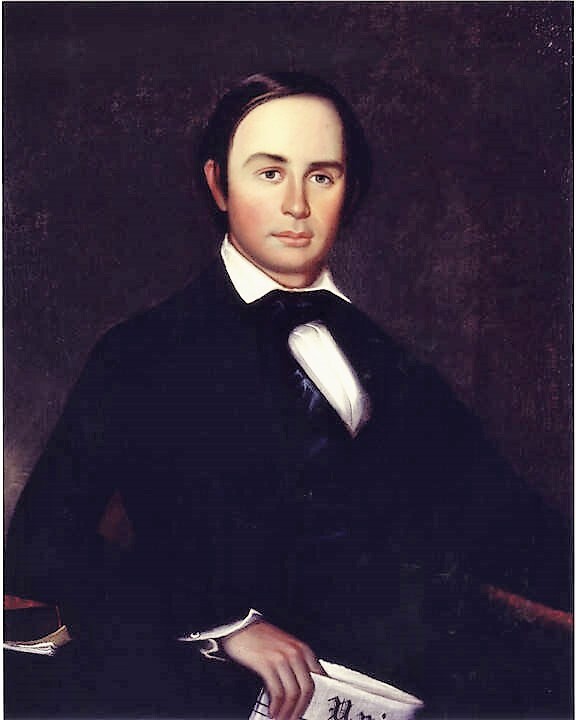 He graduated in 1860 from the University of Pennsylvania and moved the same year to Morgan county, Alabama where he remained and became one of the prominent physicians of Morgan County. John Asa Rountree’s paternal grandparents were John Rountree and Ann (Scott) Rountree who lived in Maury county, Tennessee. His grandfather was a native of North Carolina and the grandmother of Virginia. George Anna Thompson the mother of John Asa Rountree, was the daughter of Robert Asa and Mary (Williams) Thompson. Robert Asa Thompson was a native of Washington county, Georgia. Mary Williams was from Kentucky. John Asa Rountree’s father, Scott Lefevre Rountree, M. D., enlisted in the first company organized in Morgan county, Alabama in 1861 and after the first year was appointed as surgeon of Hardee’s brigade. He served as surgeon of the Ninth Tennessee cavalry for two years and was then transferred to the Eighth Alabama cavalry where he was a surgeon until the close of the war. He was a charter member of Morgan County Medical society and was health officer of the county. John Asa Rountree was educated in the public schools of Morgan county. He began to write for the papers at the age of twelve years and on the 30th of March, 1887, established the Alabama Enquirer at Hartselle, Ala., editing the same for nine years. 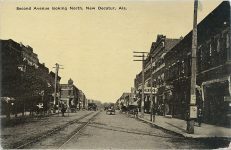 He sold the Alabama Enquirer in May 1896 and moved to Birmingham where he purchased an interest in the Daily State Herald. He was elected a member of the board of directors and general manager of the Age-Herald Publishing company, a few days later and was afterward elected president and manager of the company with full control. 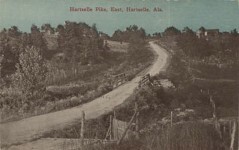 He sold his interest in the fall of 1897 and devoted himself to the publication of The Dixie Home, a magazine he established at Hartselle in 1895 and had moved to Birmingham. In 1899, he established. The Dixie Manufacturer, a semi-monthly industrial magazine. He owned and published both of these until September 1903, when he incorporated his business under the title of the Rountree Publishing company. John joined the Alabama Press association at Birmingham in 1887 and was an active member. He was chosen orator in 1888, serving one term, and in October1892, was elected secretary and continued in this position for at more than twelve successive years. 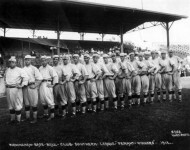 During this time he personally arranged and conducted trips for the members of the association to the World’s Fair, Chicago; to Havana, Cuba; to the Cotton States Exposition in Atlanta; to the Nashville Centennial; to Washington, D. C, and New York; to Niagara Falls and to Toronto, Canada; to Pike’s Peak, Colorado; to California; an ocean trip to Boston and New York, and a tour of Canada. He was a delegate to the National Editorial association for more than fourteen years and was a member of the executive committee of that association during 1896-97. He was a charter member and one of the founders of the Birmingham Press club. He was a member of the Birmingham Commercial club and served as vice- president for several terms, and became a member of the board of directors. 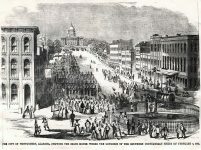 John frequently represented the city as a delegate to the meetings of the Alabama Commercial and Industrial association. Mr. Rountree was one of the founders of the North Alabama Good Roads association, organized in 1891, where he served as secretary from the start .and also was a charter member of the Alabama Good Roads association, organized at Montgomery in December in 1901. He was secretary of this association and served as a delegate to the National Good Roads association in 1902. Active in politics, he was chairman of the Morgan County executive committee of the Democratic party for six years and in 1895-96 was a member of the Democratic State executive committee. JOHN was a member of the Eighth Congressional district executive committee for four years and served many times as a delegate to the county, the district and State conventions. He was a member of the Masonic, Knights of Honor and Knights of Pythias orders. John Asa Rountree married June 6, 1895, Jennie Maude McIver, daughter of John S. and Selene (Edmundson) McIver of Nashville, Tennessee. Jennie Maude McIver was a writer of note, a prominent club woman, and a leading member of the Daughters of the Confederacy of Alabama, and president of Pelham chapter, U. D. C, of Birmingham. She was the originator and designer of the permanent badge of the Alabama Press association, adopted by the association at Mobile in May 1902. She was also the designer of the division badge of the U. D. C. of Alabama, which was adopted at Greensboro, Alabama, in June 1904. Selene Rountree, born Nov. 4, 1898. John Asa Rountree died July 9, 1936 in Birmingham. He is buried in Elmwood Cemetery, Birmingham, Jefferson County, Alabama. 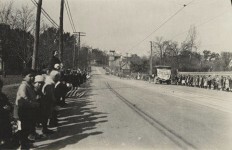 His wife Jennie Maude (McIver) Rountree died March 8, 1963, and is also buried in Elmwood. Heart Attack Is Fatal To Asa Rountree, Sr.
John Asa Rountree, Sr., “no age” general director of the National Good Roads Association, died at his home here today of a heart attack. He had been in ill health for a month. Born in Morgan County, near Hartselle, Ala., Rountree was for several years editor of the Alabama Inquirer, at Hartselle, before moving to Birmingham 40 years ago. Surviving are the widow, a daughter, Mrs. Sumpter Smith: two sons, McIver Rountree and John Asa Rountree, Jr., and four brothers, J. R. Rountree, Birmingham: Dr. W. S. Rountree, Birmingham, J. L. Rountree, Hartselle and Charles Rountree, Decatur. Patron+ Happy Birthday to the Decatur Daily – February 26, 1912! Did you know that the city of Tuscaloosa had three other names? Loved seeing the Biography of John Asa Rountree. My sons are great nephews of his son, John Asa Rountree II born Aug. 13, 1896 died May 27, 1983. He married Cherokee Jemison Van de Graaff and they had a son John Asa III. His wife later committed suicide and many years later, he married my husband’s Aunt Irma Parks and thus became part of our family. Uncle Asa as he was known was a great story teller and very intelligent man. Of all of my husband’s relatives, he was the one I really always admired and looked forward to seeing at family gatherings. My youngest son was born about 7 months after Uncle Asa passed away and was named Cameron John Asa Rudick for him. John Asa III had two sons Robert and John Asa IV.